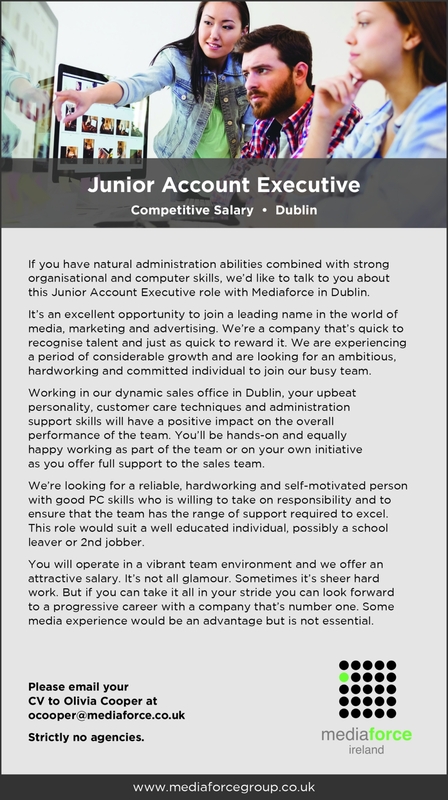 Mediaforce has a vacancy for a junior account executive, based in Dublin. This is an opportunity to join a leading name in the world of media, marketing and advertising. For more details on the role and how to apply, please see below.